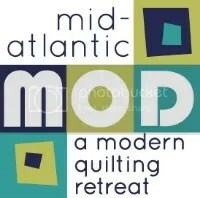 We’re super excited to partner with the Central Jersey MQG in a One Hour Basket swap! 1. Register for the swap by May 12th, by completing this survey: One Hour Basket Swap Registration You will receive your partner’s name, email, and social media information by May 15th. This is not a surprise swap, so please get to know your partner through email or social media! 2. Make a personalized one hour basket for your partner using this pattern: One Hour Basket Pattern – it costs $1.00 on Craftsy. The One Hour Basket is SUPER versatile! Check out our Pinterest board for more inspiration! 3. Fill the basket with up to $10 worth of goodies and a note and bring it to the June guild meeting on June 15th. Stella will provide bags and tags for you to put your basket in so the goodies don’t fall out. 4. At the July 20th guild meeting, you’ll receive your basket & goodies from your CJMQG swap partner. 5. Post how happy you are on social media, tagging your new CJMQG pal! NOTE: This swap is open to CJMQG & NJMQG members only! ← Reminder: April 2017 Meeting this Thursday!